Last week’s most provocative and amusing thoughts were made possible by the letter “H,” specifically of the “hipster” variety. You are authentic in your passions. You come in all stripes and all political persuasions. You live anywhere, from the urban metropolises to small towns in middle America. This first article is, among other things, hilarious and informative. When I read it last Friday on the bus I was two breaths away from a serious case of the LMAO IRL in front of every other commuter. 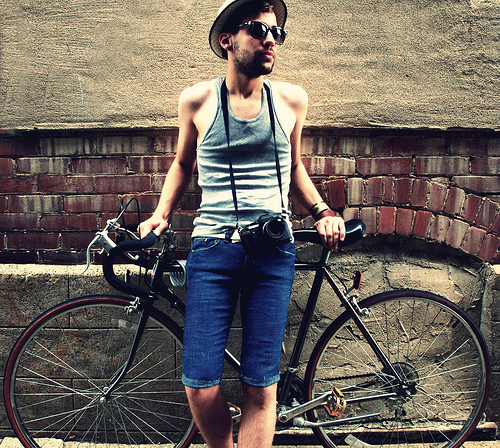 It took a deep look at the anatomy of a hipster and described that being a hipster is not about fashion and riding fixies but about how you see the world and your role in it. As a friend of mine pointed out on Twitter – we all have a degree of hipster in us. Today’s ideal social form is not the commune or the movement or even the individual creator as such; it’s the small business. Every artistic or moral aspiration — music, food, good works, what have you — is expressed in those terms. Bands are still bands, but now they’re little businesses, as well: self-produced, self-published, self-managed. When I hear from young people who want to get off the careerist treadmill and do something meaningful, they talk, most often, about opening a restaurant. Nonprofits are still hip, but students don’t dream about joining one, they dream about starting one. In any case, what’s really hip is social entrepreneurship — companies that try to make money responsibly, then give it all away. . . . Our culture hero is not the artist or reformer, not the saint or scientist, but the entrepreneur. I personally love this opinion piece. I am psyched to be part of a generation of entrepreneurs who are either starting their own businesses or are living as an entrepreneur-from-within, full of drive and passion to be an indispensable part of building an organization. But all of us were not pleased with this new label. Some of us grabbed onto the title of the NYT piece and got, for lack of a better word, defensive over our generation being labeled as one who is only interested in “selling.” For example, Justin Kan wrote this article on TechCrunch called Generation Make, which some of the most passionate entrepreneur-millennials that I know rallied behind. The funny thing is both Generation Sell and Generation Make make the same argument, but use different words. First off, it was incredibly bold of Deresiewicz to declare that the generation of hipsters and business starters are only motivated by one thing – selling. As someone who as dreams of starting her own business, making the first sale is not what’s on my mind right now, creating my business is. And even though if you want to start a business or a startup (perhaps that’s really what got these tech kids all bent out of shape – being lumped into a pile of “small business” starters, not “start-uppers”) – the question you need to answer before you launch is how you’re going to make your first $100,000. We know that. We know that we can’t start a business based on free love, gold stars, and accolades from our friends about how cool we are just to be doing what we’re doing. Yes, we know we have to sell if we expect there to be a second quarter and a celebration of making it the first year. But that’s not what motivates us. What motivates us is our passion and our drive to make it happen. We are a generation of makers. A generation of creators. Maybe we don’t have the global idealism of the hippies. Our idealism is more individual: that every person should be able to live their own life, working on what they choose, creating what they choose. If you want to build a company to change the world, go for it. If you want to be an independent knife maker, what is stopping you? We follow our passions. If we do it as a business, then we can create the ability to support ourselves doing what we love, and with some measure of security and autonomy that no institution is going to grant us. The Millennial path to self-actualization is the individual path, each man to create it for himself. It’s more than just selling or making or creating. It’s about thinking beyond each step and thinking about our idea, our life, and our business in a sustainable way instead of through a single transaction. It’s a feeling that every single person who is part of this generation feels but doesn’t need to explain because it is who we are. It’s a hipster state of mind. Update: This blog post was quoted in Monica Guzman’s article on GeekWire: You’re selling yourself, and that’s OK: Welcome to the entrepreneurial generation. This entry was posted on Sunday, November 20th, 2011 at 11:20 pm and is filed under entrepreneur in training. You can follow any responses to this entry through the RSS 2.0 feed. You can leave a response, or trackback from your own site.